X-Large - $53.99 Only 2 left! They say getting there is half the fun. The phrase getting there is half the adventure would be more fitting for this particular case. Anna is a head and heart strong princess that will stop at nothing to reconnect with her estranged sister. When she heads out on horseback she's naive and under-prepared for her alpine journey. When her horse runs away and she's forced to continue in her palace finery on foot she finds that this trip is more complicated than she thought it might have been. Thank goodness she finds the outpost, where, though supplies are sparse, she finds a pretty spiffy outfit that will keep her warm in the dangers ahead. 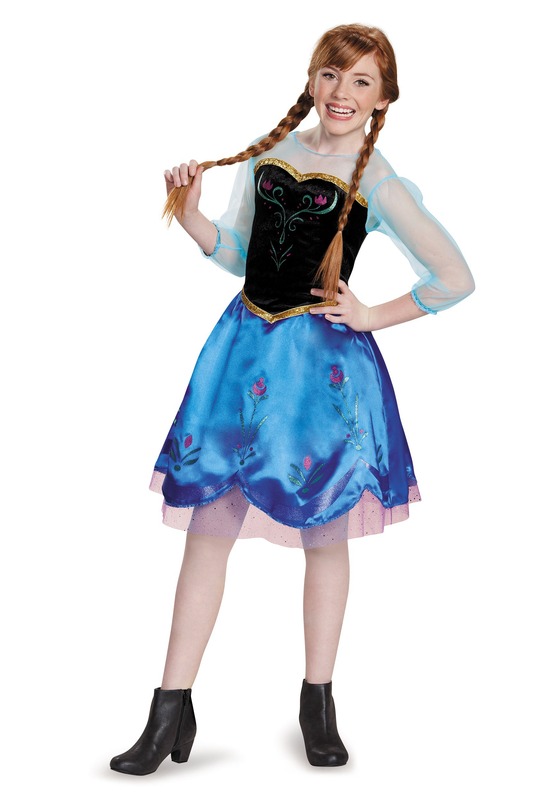 This officially licensed outfit with its sparkly bodice and skirt makes you ready to face oncoming twists and turns in your very own plot. Keep nice and toasty as you meet your charming ice harvester and set out for a harrowing sleigh ride. . . that turns into a reindeer ride. Ready yourself for your first interaction with a sentient snowman in your charming cape that will keep you warm for the frozen dangers that lie in wait, trying to stand in the way of finding your sister. 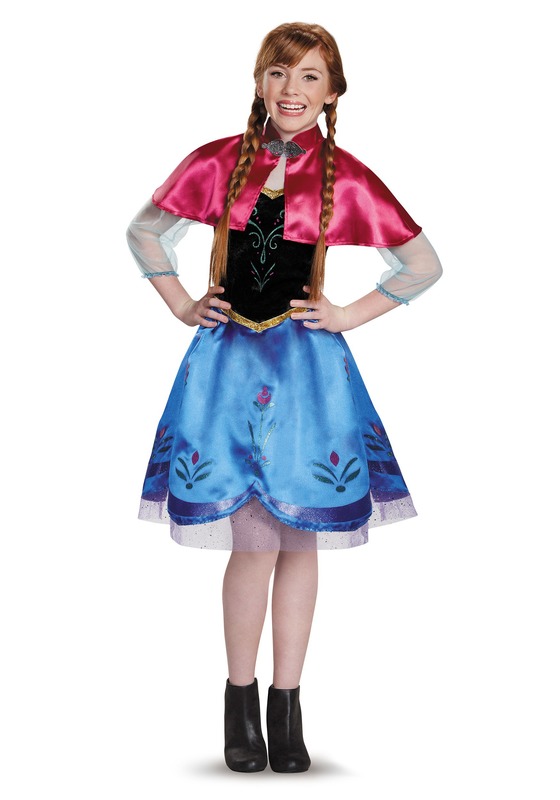 Get into your very own Frozen inspired adventure when you put on Anna's traveling costume. Whether you're avoiding your own coronation or reconnecting with family you'll be glad you're doing it in the style of a future queen. Just be sure your sister doesn’t curse you when you reunite, play nice. We know it's hard when you're as outspoken as Anna. This costume is great for make-believe mountain voyages but be sure to put on a few more layers if you want to build a snowman.